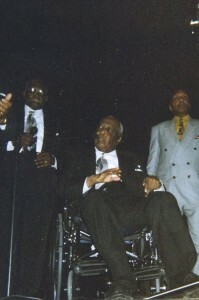 The Shields Brothers, a mainstay of Cleveland’s gospel music scene for more than seventy years. The Shields Brothers began thier singing career in 1928. 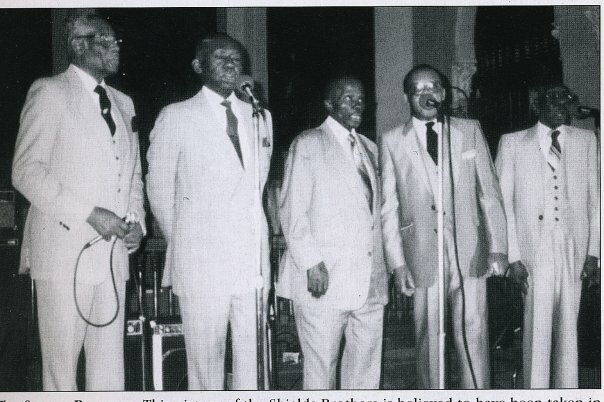 The group members were Lee Crosby, Arthur Beasley, Arthur Turner, James Henderson and Claude Shields Sr. (center). 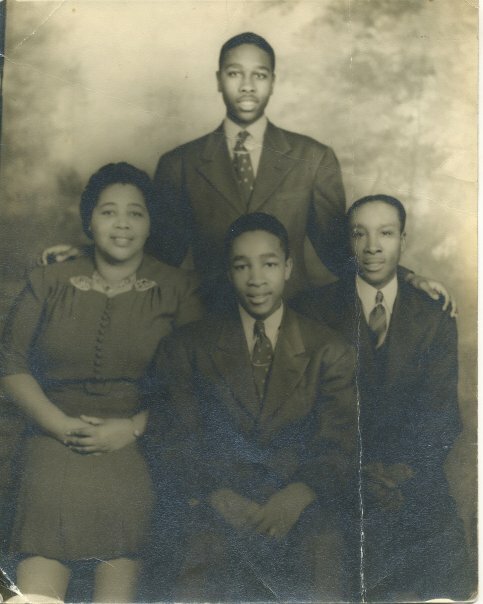 Together they paved the way for Black gospel quartet music in Ohio. 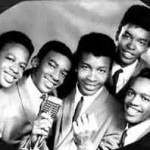 Their most popular song was When the roll is called in heaven, I’ll be there. 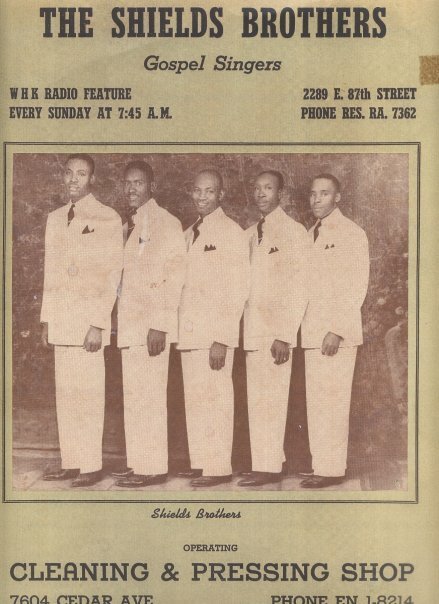 The Shields Brothers included radio personality and promoter, Arthur Turner (second from right) who joined the group in 1930. 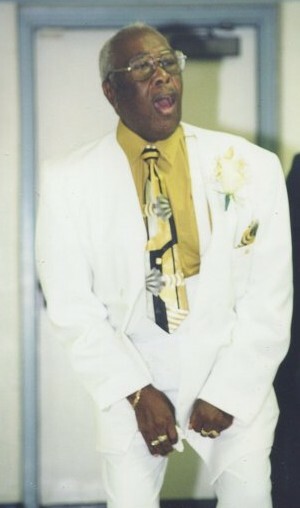 Arthur Turner was a respected Gospel music promoter who broadcasted on WABQ and WJMO radio stations, beginning a career in broadcasting in 1948. 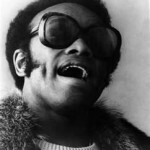 For 52 years, he managed the Elite Jewels and he was the last orginal member of the Shields Brothers. He was also one of the founding members of the Ohio Singers Movement and the Gospel Music Workshop of America (Cleveland Chapter). 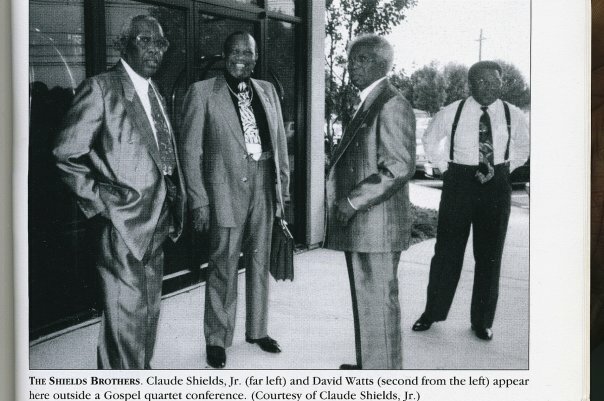 Claude Shields Sr. owned and operated a dry cleaning company for over forty years under the name of the Shields Brothers Cleaners. Johnnie Calloway Shields is the sister of Hattie Lynn King, the mother of fight promoter Don King and the late Joesph Lynn (actor) . The Shields Brothers Senior’s last performance (1970’s). The Shields Brothers were frequent guest singers on gospel radio and traveled across the country on the Gospel Quartet circuit. 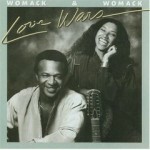 They were know for their sweet harmonious voices and sang consistently for 70 years. 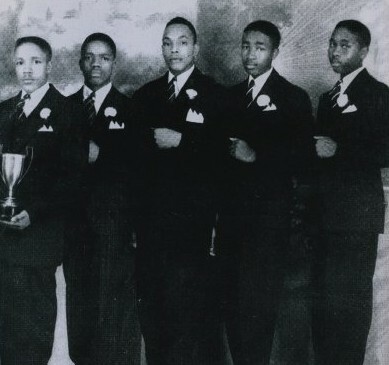 Pictured here (1940’s) with a trophy won in a competition for enunciation, appearance, stage performance and harmony, The Jubilee Four were a group of two sets of brothers and a neighbor, who began singing together in Cleveland, Ohio in the 1930’s. 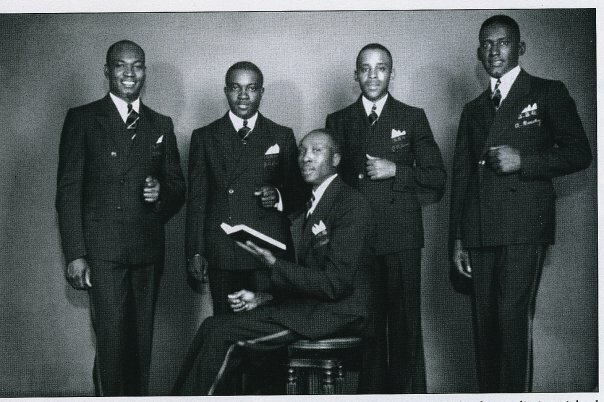 The group sang together until three of the members were drafted to serve in World War II. 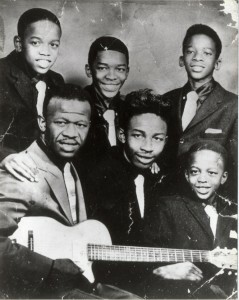 The members included, Clifford Phelps, William Phelps, Eugene Ross, Johnny Shields and Claude Shields Jr. They were later renamed The Shields Brothers. 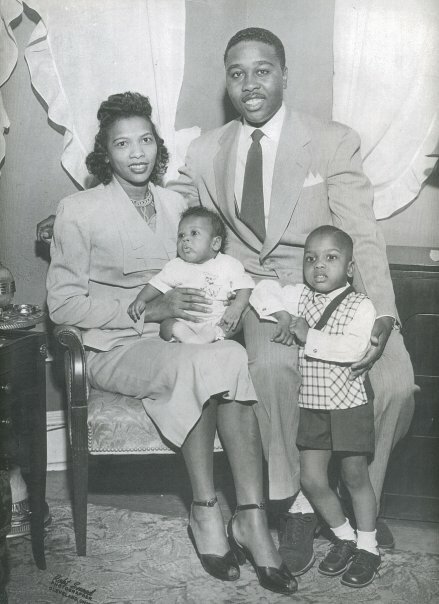 In 1949, Claude Shields Jr married Fannie Sanders. 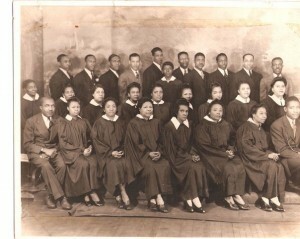 She along with her sister, Frettie Jackson sang with the Turner Gospel Singers under the direction William Turner. The union produced two sons, Gerald and Dale. Gerald was drafted into the army and entered the business world. After completing a Master of Fine Arts in theatre, Dale, entered the world of professional theatrical show business and academic theatre . 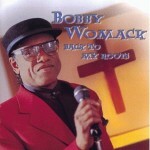 Friendly Womack, patriarch of the Womack Brothers sang with The Shields Brothers in the 19 60’s and 1970’s. 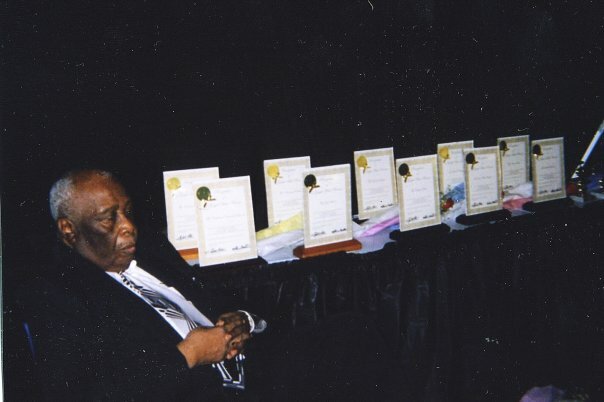 Claude Shields Jr. received awards at Cleveland State University (2005).